The govt has published an order on 28.07.2017 regarding adding the details of premium and its updatation of govt employees who are members of State Life Insurnce(SLI) and Group Insurance Scheme(GIS) in Viswas Portal as part of digitalization. As per this order, instructions have been given for the updation of pass book and collecting the same by the DDO. So it is the responsibility of the DDO to include the policy details and premium to be paid details of all govt employees in Viswas Portal. Each govt employee would have one GIS account. If any one has two GIS accounts, the first one can be retained and the second one can be cancelled. An application has to be given to the insurance office to cancel it. In the case of SLI, each govt employee may have more than one policy. All govt employees should enter the details of premium such as premium – till date, number of terms paid and get it countersigned by the DDO of the institution of that period where they were working. The copies of all pages of this passbook must be submitted to the DDO. It should be endorsed by the DDO of the time and date of encashment also be entered. The scanned copy of the first page of the pass book of all policies should be updated in the software (even the mobile photo is sufficient). 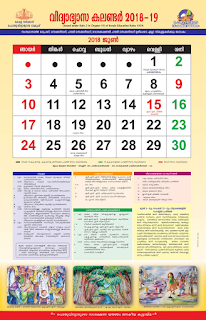 The month and year entered in the first page of pass book would be that of the policy beginning period. Like wise, the amount entered in the first page is the first premium. The maturity date of SLI policy would be that entered in SLI pass book whereas for the GIS policy, the maturity date is the date of retirement year and month. At the time of GIS premium increase, premium details (month of increase of the premium, year, increased premium amount, salary scale of the month) etc should be entered. If the premium is not paid for continuous six months, the current policy would be considered as a lapsed policy. Though the premium is paid after six months, it would be considered as a lapsed policy only. Details of such policies need not be uploaded. To revive such policies after six months break, the employee should contact the insurance office and submit an application to renew it. After that only, the details can be uploaded. Since final submission can be done only after the inclusion of details of all staff of the institution, lapsed policies should be renewed on submission of application as early as possible. Once the details above said are collected, it can be included in the software. Help file regarding SLI / GIS premium of previous period, each term premium amount and how to collect such details can be downloaded from the link. 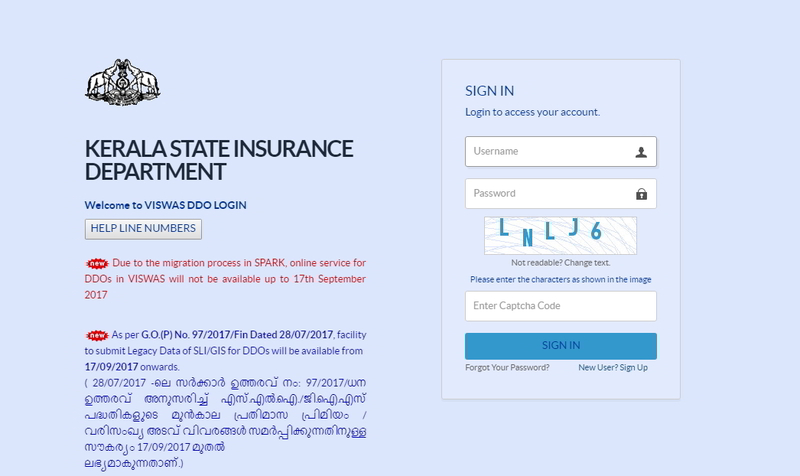 State Life Insurance Department have introduced the facility to file applications online for Group Insurance Scheme(GIS) Membership and Claims through the portal Viswas. Click the below link for Guidelines and user manual for the new GIS portal Viswas. Government have revised the classification of Scale of Pay of Groups and rate of subscription of Kerala State Employees Group Insurance Scheme(GIS).Click the below link for Govt Order. The circular regarding the time to enroll the Group Insurance scheme and different forms for GIS admission are available here. The general guidelines,Application form and Nomination form for State life insurance scheme(SLI) is given below. Government have revised the classification of Scale of Pay of Groups and rate of premium of Kerala State Life Insurance(SLI).The revised rate will come to force with effect from 01.01.2017, i.e salary for the Month of December 2016. For details view/download GO(P)No.149/16/Fin Dated 04.10.2016.